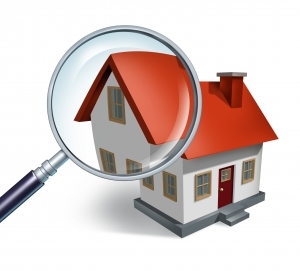 A thorough Home Inspections of Coastal Home Inspectors will provide complete knowledge about your selected home. Coastal Home Inspectors is the foremost home inspection services provider in Cape Coral FL. Coastal Home Inspectors will provide in-depth home inspection services and make you completely satisfied with our quality coustomers service. We have earned a great repute among the communities of Cape Coral FL with our unfailing and high-quality home inspection services. A home inspection is a important step before buying and selling the home whether it's residential and commercial .You can always trust our expert home inspection services and get the complete knowledge about your selected home. Coastal Home Inspectors realizes the importance of your time and money that you’re investing in buying your dream home. We know that a home buying process may become very big hectic because everyone desire to get a defect-free home and you also not completely aware of the structure and conditions of that home. Therefore, we suggest you to get a thorough home inspection service before buying a home and protect yourself from unwanted stress. This is very important to get the services of our professional home inspectors in order to know the exact structure and condition of your home. Because if you inspect your home on your own then there is a probability that you could miss many technical and essential aspects. The Coastal Home Inspectors, use necessary and latest equipment to inspect your home from its all aspects. There is a possibility that your nominated home may have many hidden defects in its structures and systems like rusted pipes, leaking roofs or bad drainage system and many other harmful defects. Coastal Home Inspectors inspect all structural elements of your home like an attic, plumbing, floors, rooftops, stairs, bedrooms, fans, bathrooms, kitchen and many other important elements. We similarly inspect all systems of your home like drainage system, electrical appliances, HVAC, insulation system etc. We proudly say that we are the most consistent home inspection service provider because of our competency and expertise in home inspection. We also allow you to attend the home inspection of your home because in this way you can easily judge the systems and condition of your home. Also, if you have any queries to ask, our home inspectors welcome to you and guide you respectfully. Our home inspectors will completely co-operate with you and give you useful tips. When Coastal Home Inspectors finished complete inspection of your home, our home inspector prepare a comprehensive home inspection report. That we provide you the home inspection report in the same day along with HD digital images of the items that we discover defects or problem and write the complete description about. In our home inspection report, we use simple words for your suitability so that you can easily understand it.